Dr Judith Solomon holds a Visiting Research Fellowship in the Department of Public Health and Primary Care at the University of Cambridge. She is internationally recognised for her research and theory-building on attachment and caregiving, including the introduction of the disorganised attachment classification and the first longitudinal study of infants in separated and divorced families. With Carol George, she developed key representational measures of caregiving and child attachment, including the Caregiving Interview, the Attachment Doll Play Projective Assessment, and the Maternal Helplessness Questionnaire. 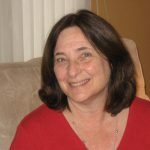 She also served as co-editor of Attachment Disorganization (Guilford Publications,1999) and Disorganized Attachment and Caregiving (Guilford Publications, 2011). In 2013, she was a Fulbright Visiting Professor at the University of Vienna, where she taught and did research in the Department of Evolutionary Biology. Solomon frequently presents workshops and training seminars on attachment and parenting relationships. She also is a licensed clinical psychologist and provides consultation, training, and supervision in the area of infant and early childhood mental health. Solomon, Judith, and Carol George, eds. Disorganized Attachment and Caregiving. Guilford Press, 2011.